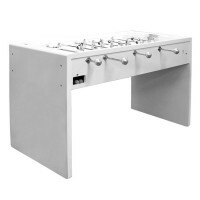 Debuchy by Toulet football tables propose a different image of a football table! You will not find a football table more elegant, modern and trendy than football table Debuchy by Toulet! 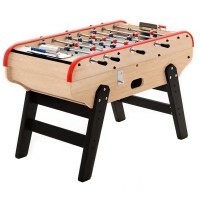 This foosball with minimalist look allies excellent quality materials with particularly neat design. Football tables Debuchy by Toulet are amazing free time equipment but at the same time play the role of interior decorations thanks to their pure and contemporary design. These foosball tables find their place in the middle of a living room rather than in a play room! 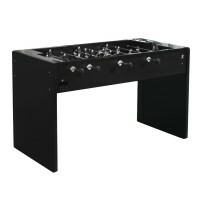 Discover in greater detail these trendy, truly modern football tables, that surely revamp the image of the game. 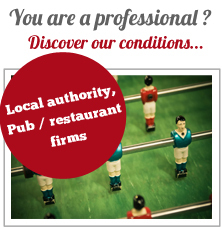 Debuchy by Toulet football table: the story of an amazing partnership. Switching to designer football table from the usual and traditional look was a small revolution for the brand Toulet. In order to succeed this 180° turn, the brand partnered up with internationally known french footballer Mathieu Debuchy. 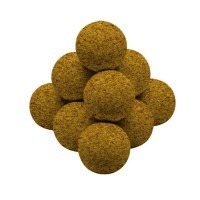 He had more than his great expertise to offer, it was also his passion for the miniature version of his beloved game. This audacious partnership turned out to be successful. Today, Debuchy by Toulet football tables, represent a piece of art completely customizable to satisfy your needs.